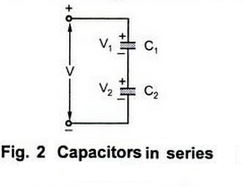 Consider the three capacitors in series connected across the applied voltage V as shown in the Fig. 1. 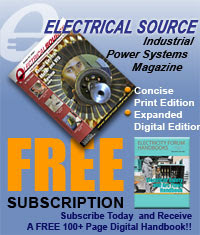 Suppose this pushes charge Q on C1 then the opposite plate of C1 must have the same charge. 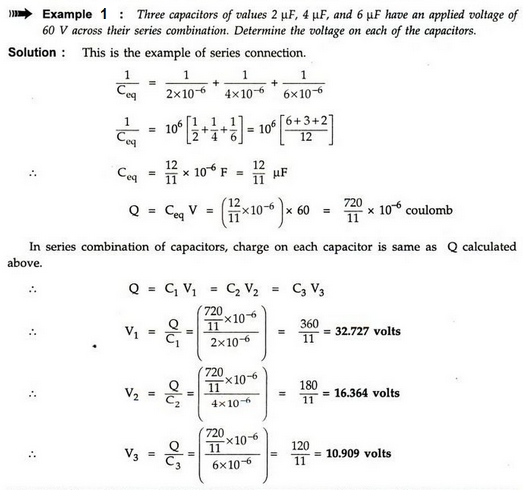 This charge which is negative must have been obtained from the connecting leads by the charge separation which means that the charge on the upper plate of C2 is also Q. 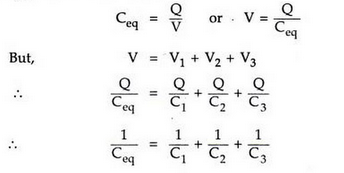 In short, all the three capacitors have the same charge Q. It is easy to find V1, V2 and V3 if Q is known. Note: For all the capacitors in series, the charge on all of them is always same, but the voltage across them is different. 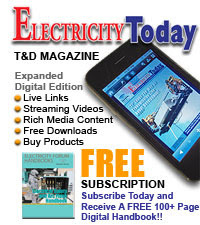 Consider two capacitors C1 and C2 connected in series. The voltage across them is say, V volts. This is shown in Fig. 2. 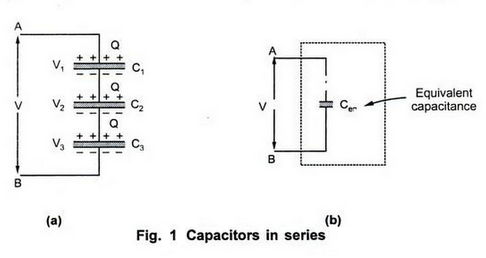 As capacitors are in series, the charge on them is same, say Q. The result is exactly identical to the current distribution in two parallel resistances. Note : Notice that the smallest capacitor has the largest of the three voltage across it and that Ceq is lesser than any of the capacitors in the series string.